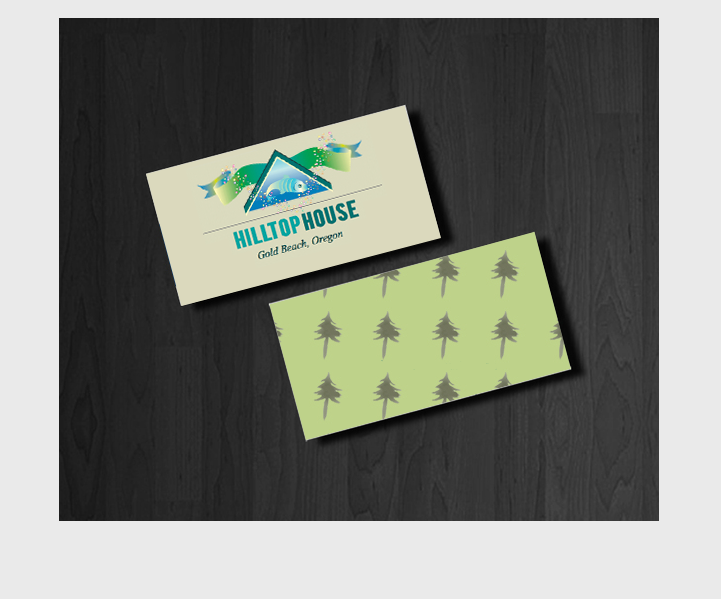 Identity Design for a vacation rental property that I co-own and market. The project includes identity design, web design and blog design and authoring. 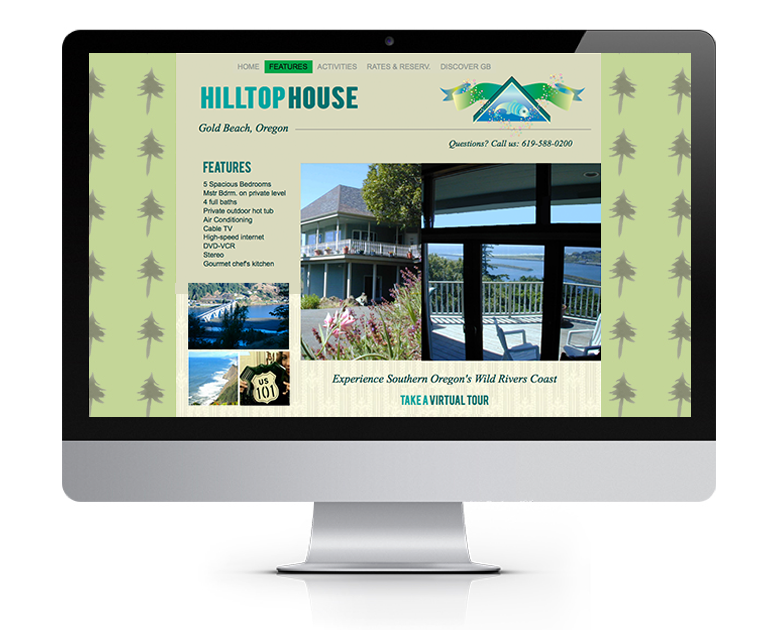 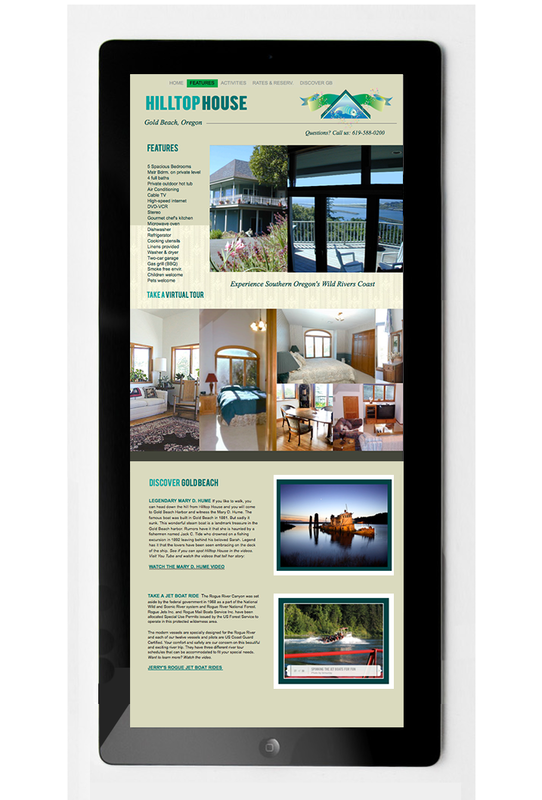 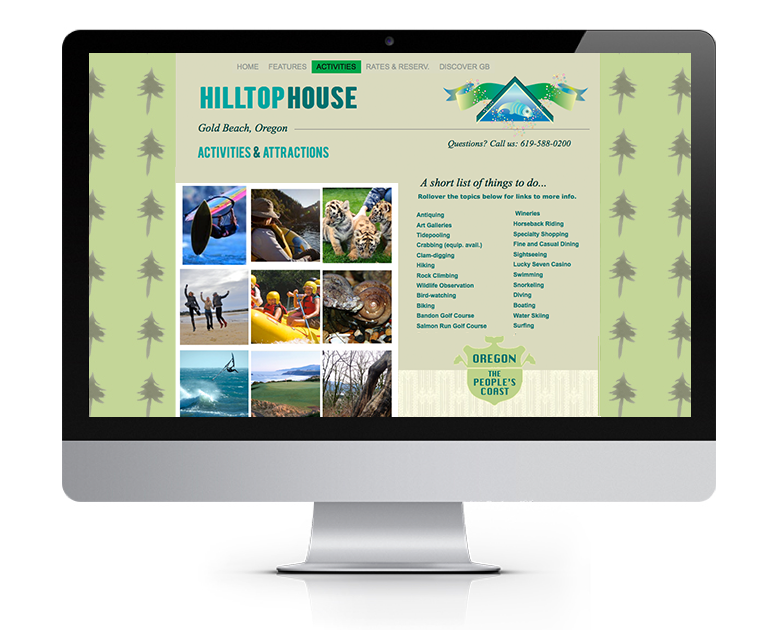 Hilltop House Vacation Rental web site is a responsive site that adapts to mobile devices. 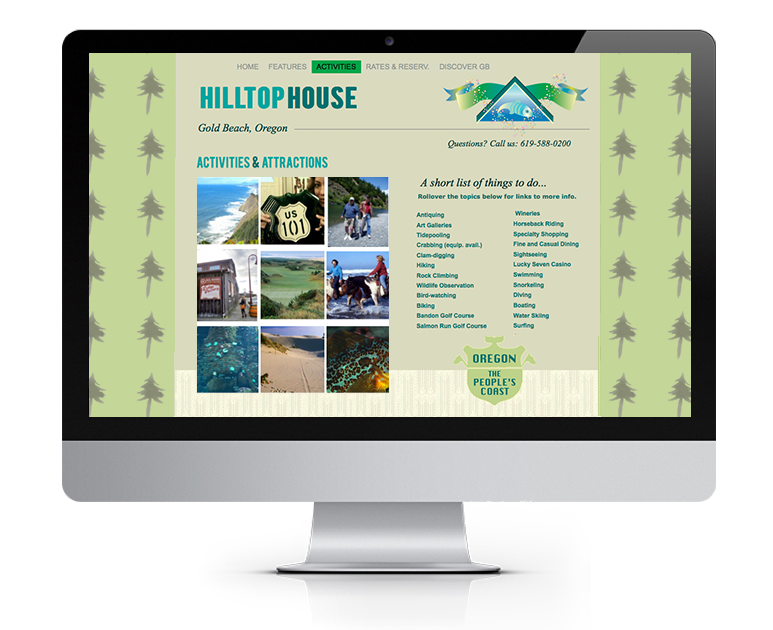 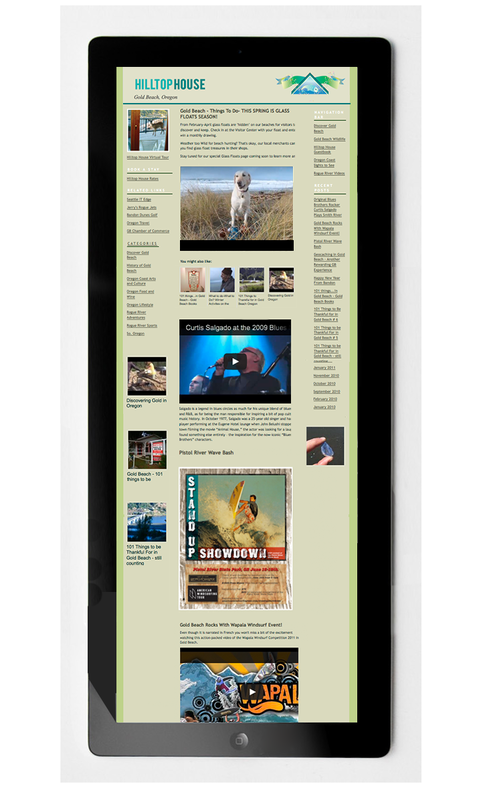 The blog helps to drive traffic to the website as well as giving the rental agents a place to refer potential visitor who inquire about activities and events happening in Gold Beach.